Temporarily out of stock. 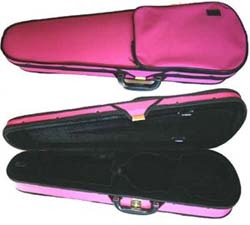 Shaped violin case with two bow holders and double shoulder carry strap. Lightweight and good quality for price. In stock now, but be quick! Shipping price for this item is for UK only. Email for USA post prices! Great value and quality....as usual. Two bow holder, string tube and two straps. UK only shipping at the moment, but email for post price difference. Lightweight and good quality for price. 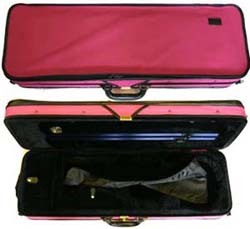 Quality violin case. 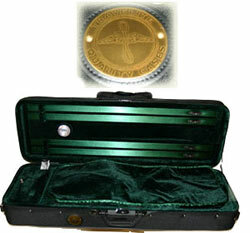 Black with green interior, 4 bow holders hygrometer, full length music pouch and double strap for over shoulders use.